The Australian Classifications Board has rated two more Sonic the Hedgehog games for 3DS Virtual Console. The Game Gear titles Sonic Blast and Sonic Labyrinth have both been rated for 3DS Virtual Console, indicating we'll see them somewhere further down the line. 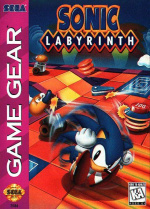 While neither is fondly remembered as a classic title in the Sonic canon — to say the least, in Labyrinth's case — more hedgehog games are always welcome here. As we reported yesterday, Game Gear hits the eShop in North America on 15th March. This is confusing,so Sonic Labyrinth is a GG version of 3D Blast and Blast is a just a normal side scroller? @wiiwii Labyrinth isn't connected to 3D Blast other than them both sharing an isometric viewpoint Blast is a regular Sonic platformer though. So two "Bad" Sonic titles? Alright, might bite since I always was interested in trying them out. 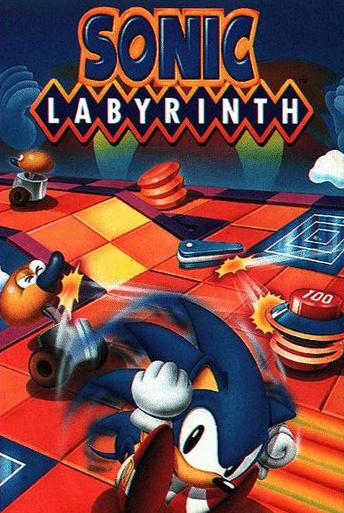 Sonic Labyrinth's cover makes me want to buy it anyway. Could that be the gravest mistake of my life??? Sonic Labyrinth is NOT a true Sonic game. Sonic moves at 1 mile per hour unless you use that uncontrollable spin-dash. It was so weird. How? And don't say on the Genesis because thats not supported. Master System may one day be supported once they start exhausting the Game Gear games though. I think the original Game Gear Sonic is one of the best on the platform - so I hope SEGA put that game on the VC at some point. I'll pass on these two. Sonic Blast? Yes. Sonic Labyrinth? Hell naw. I'd like to see Sonic 1 on the VC, that was (and still is) a blast to play on my Game Gear. Hope to see these titles popping up on the UK eShop soon. Saw videos of Sonic Blast. Looks bloody awful. At least there's Triple Trouble. Ahh labrynth, the worst sonic game at the genesis era. WHY?! Sega, just let us forget about these games already. If you're willing to let us forget Sonic '06 and The Black Knight, let us forget these two atrocities! To be honest, all of Sonic's Game Gear games were horrible. They're some of the worst games I have ever played. Besides, you can play them all in Sonic Adventure DX and Sonic Gems Collection if you're really curious so don't waste your money. I can see perhaps Sega wants to start with Triple Trouble and Sonic Blast because those weren't Master System games to begin with. The only Game Gear Sonic games I like are the first one, Chaos, and Triple Trouble. Everything else are either terrible, mediocre, or meh at best. It would be awesome if Sega also release that one Sonic game they made for the Neo Geo Pocket Color, that one was ten times better than any of the Game Gear Sonic games. While I'm willing to download Blast...why in the holy name of Sega is Labyrinth being released on the 3DS VC!? Seriously, that game is pure cr*p.
Uh, why are they skipping Sonic 1? Sure the Master System versions of 1, 2, and Chaos are better but they're way better than those two. Also, they could be putting out Ristar, Dynamite Headdy, Super Columns, and GG Shinobi 2. All of which are excellent. I actually like Sonic Labyrinth. It is one of my favourite Game Gear games. Sure it's not the greatest game, but I think people bash it because it's not a typical side scrolling game that Sonic is more known for. Still, I would buy it despite the review Nintendo Life give. 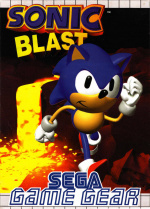 Now Sonic Blast, man that game is hard to find. I actually paid £15 on ebay just to get the damn cartridge. Was it worth it? Nope. The sprites looked too big, levels made no sense, music was horrible and not very fun to play. It is a shame because Knuckles was playable in this one. @Angelic_Lapras_King Master System games would be pretty cool, it's the only reason I can figure for why they skipped the other Game Gear Sonic games and went straight to Triple Trouble. Personally, I'd rather them for the bigger viewing area. I still have both the Master System and Game Gear versions of Sonic 1 and much prefer the redrawn colourful look of the Game Gear version (his shoes are red for one thing). Levels were slightly adapted for the smaller screen size. For PAL gamers it also ran faster than the 50Hz Master System version. I think Sonic Adventure DX did not emulate the game very well, as I found glitches that were not present in the original. OH, COME ON! Those were 2 of the worst Sonic games ever made! Why couldn't we have the original first two. You know the Master System ones. That's really all I wanted. Im i the only one getting these for a look into Sonics darker handheld past? If y'all are interested in other Game Gear Games this is a pretty good list: www.listoid.com/list/214 . You can vote up ones you like and add more that are missing.